Pack your picnic blankets and head to Devou Park on October 6, 2018 for a day of music, arts, food, bikes, circus and kids entertainment in support of the Children's Home of Northern Kentucky. DevouGrass is free for all and a free-for-all. The 5th annual DevouGrass is located in at the historic Band Shell in Devou Park, Covington, KY. Noon-dusk. We are excited to announce the musical lineup and entertainment for DevouGrass Festival 2018! DevouGrass will be celebrating its 5th anniversary at the Devou Park Bandshell in Covington on Saturday, October 6, so don't forget to mark your calendars! The Young Heirlooms are acclaimed Cincinnati musicians. The six-piece band draws influence from family history, personal experience, and adventures on the run. The antique instrumentation comes with a contemporary kick that resonates with a wide range of audiences. Circus Mojo is a youth and adult circus arts program where physical skills such as juggling, balancing, and stilt walking coalesce with creative expression such as improvisation character development, and group performance. My Brother’s Keeper draws inspiration for their music from Bluegrass, Rock, and everything in between. In an effort to be unique and bring a fresh blend of Bluegrass to new audiences, My Brother's Keeper has presented itself as one of the fastest rising Bluegrass bands on the scene of Cincinnati music. Since their debut in 2008, Hickory Robot has steadily become one of the tri-state’s preeminent Americana bands. They continue to weave bluegrass, folk, Celtic, country, jazz, and rock together to form their unique sound. The Misty Mountain String Band hails from Kentucky and Virginia and draws influence from old-time music, Americana, bluegrass, and songs of labor and protest. The band was originally formed as a pickup group for an old-time camp revival, and has evolved into a professional band that’s at home playing with the Louisville Philharmonia Orchestra as well as bluegrass festivals with Americana favorites. DevouGrass works to minimize our environmental impact. 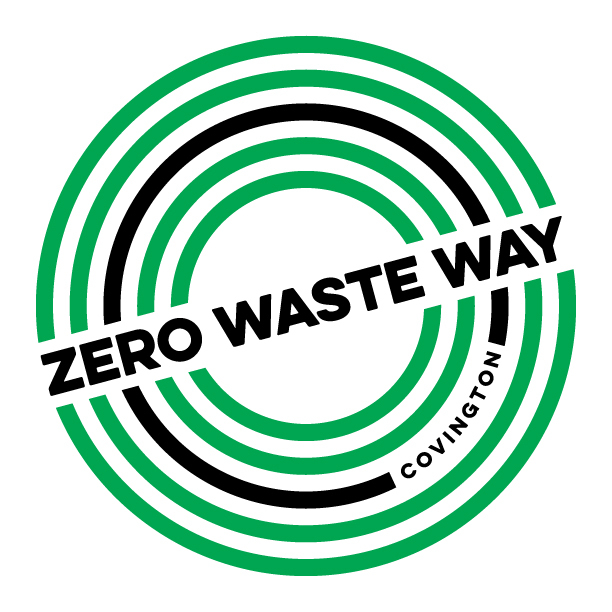 We are part of the Zero Waste Way pilot project. Click here to learn more. We couldn’t be more honored to partner with the following organizations and businesses to present DevouGrass. Please tell them "Thanks" when you visit them in person. DevouGrass is held at the historic Devou Park Band Shell in Covington, KY.